Creating a concurrent and stateless version of an evolutionary algorithm implies changes in its algorithmic model. From the performance point of view, the main challenge is to balance computation with communication, but from the evolutionary point of view another challenge is to keep diversity high so that the algorithm is not stuck in local minima. In a concurrent setting, we will have to find the right balance so that improvements in both facets do not cancel out. 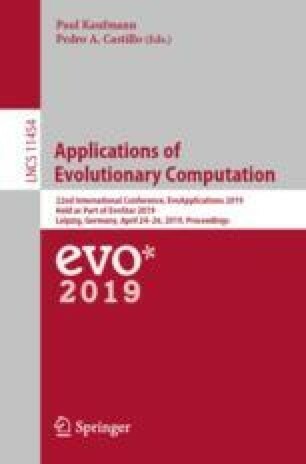 In this paper we address such an issue, by exploring the space of parameters of a population based concurrent evolutionary algorithm that yields to find out the best combination for a particular problem. This paper has been supported in part by projects TIN2014-56494-C4-3-P s (Spanish Ministry of Economy and Competitiveness), DeepBio (TIN2017-85727-C4-2-P) and AMED (co-funded by European Regional Development Fund and the region Normandy). I would like to express my gratefulness to the users in the #perl6 IRC channel, specially Elizabeth Mattijsen, Timo Paulsen and Zoffix Znet, who helped us with the adventure of programming efficient concurrent evolutionary algorithms.